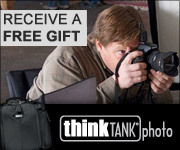 Ron Martinsen's Photography Blog: REVIEW:Topaz Studio - A Free Lightroom Replacement? 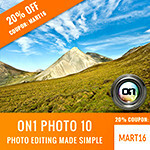 Topaz Labs has outdone themselves with a new product that offers a ton of functionality for the best price - FREE! Topaz Studio is a beautifully designed product that is screaming fast and scales beautifully on any display size - including the 1080p and 4K UHD screens I tested it on, with an ever quick response time throughout the UI. Seriously - it's the fast performing Topaz product I've ever used, so hopefully this is the future of what we'll see from Topaz! 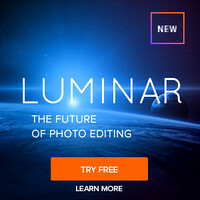 You can't beat free, so if you've grown tired of Adobe's subscription model or have longed for a Luminar alternative on Windows, then this is a great choice. Definitely give it a shot and if you don't like it, then just uninstall it - it didn't cost you much any time! Personally, I'll still keep Lightroom around for its asset management features (the Library module) and other things I like about it, but this product has my attention. With a promise of an ever evolving feature set with frequent updates, this is sure to be a popular product that I expect to only get better. If you do like it, then please do me a favor and share this article with all of your friends and on social media! I'd also love it if you used my link below if you decide to purchase the pro presets pack too! CLICK HERE to learn more and get your FREE copy today! How can I make the2 vertical toolbars show on screen? How can I make the 2vertical toolbars show on screen? Nice review. Topaz Studio is great. The basic adjustments for free really blows me away. Topaz really needs to work on the speed of the program, and some basic missing features such as batch processing. Really enjoying seeing where they will go with Studio.